Is your car ready to take a northern trip to Pakistan? We are already into summer holidays, and everyone wants to make the most out of them. Whether it is a family trip or friends looking to spend quality time away from the summer heat, everyone is heading towards colder areas. Pakistan has beautiful sightseeing places and resorts to spend a good amount of time away from home. Enjoy but do not forget your own safety. 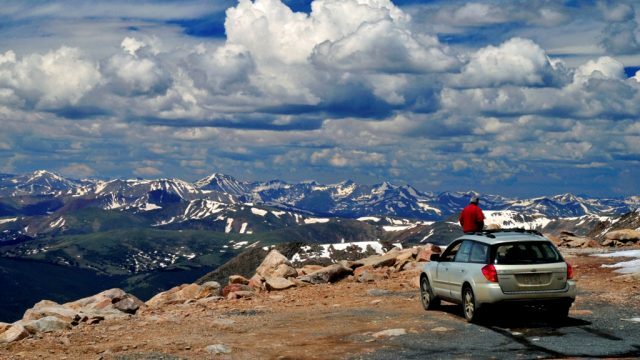 Driving in the mountains can be a thrilling experience but always remember a few simple tips that help you prepare and reach your destination safely. There are certain parameters of your vehicle you need to check before setting out. A complete checklist can be read in my previous article titled “6 hot weather tips for all car owners out there!“. It includes monitoring air pressure in tires, testing the battery and checking fluid levels. Check if the heating and cooling systems are working properly. Braking must be in an excellent condition. A car needs extra attention for a trip through mountainous terrain. Your car should be in an optimal condition. The first thing to do before setting out on a long trip is driving your car to a nearby fuel station to get your tank filled. Ideally, fill the tank to its full so that you do not have to worry about it too early. You must decide beforehand on which route you are going to take to reach your destination. Use maps to see an alternate route in case of an emergency. You can easily plan your stops along the way if you have a proper guideline of the route. Nobody wants to get stuck in the middle of nowhere without any help. Complete the homework before you leave home. Saving time is the most important thing these days. Prepare yourself for any worst-case scenario of your car getting punctured or standing idle with some mechanical problem. Keeping a toolkit consisting of basic tools would help you save time and get your car fixed by yourself. For all your toolkit needs, click here! Always note down the emergency numbers you might need on your trip including the highway authority number. There might be a case of an accident or criminal activity along your way. Make sure you have the important numbers to call in Police or an ambulance in such cases. Not only the traffic rules but for your own safety as well, it is important to fasten seat belt the moment you get into the car. It saves you from any major injury in case of an accident. Also, tell the passenger sitting alongside to fasten the seat belt. Buy seat belt accessories here! Watch out for road signs warning of approaching curves. This would help you have ample time to slow down before steering through the curve. Since you are not familiar with the curves, they could turn out to be life-threatening. Follow the speed limits mentioned and keep your car a little slower than the maximum limit. As said, “It’s better late than never”. Weather in hilly areas could be extremely tricky. It might change from a sunny day to a thunderstorm within a matter of no time. You must be prepared to deal with any such conditions. See forecast of the areas you are going to travel through. This will keep you mentally prepared of what is coming ahead of you. Using windshield wipers and defogger becomes necessary in case of rainy conditions. They must be working properly to help you drive with full concentration. Buy windscreen washer fluid here and wipers! People tend to drive in neutral down the slope considering it to be saving fuel. When you let the car move without shifting a gear, it starts to speed up. You might lose control over your car while doing so. It also puts a lot of pressure on the brakes and they might wear out leading to a fatal accident. Nothing is precious than your life. Use low gear going down the hill. Downshift to a lower gear before going downhill. This will help limit stress on the brakes as well as the car’s engine. You will also be able to easily control the speed. There are indications of Low Gear Area in steep slope areas. Try to put as little pressure as possible on brakes going downhill. Buy new brake pads for your car here! Many accidents occur due to over speeding. Such cases can be prevented by reducing the speed as soon as you see the downhill sign indication. Drive slowly through mountainous terrains. You might face foggy or rainy conditions which highly demand from vehicles to slow down. We are responsible to keep everyone travelling on the road safe by following the rules. There is a specific method of turning your car into the curve. As you approach a turn, move to the side of the lane opposite to the direction of the curve. Slowly turn your car back into the lane you were previously driving in. Pay attention to the approaching cars behind you to avoid an accident. Cars tend to move in the opposite direction of the curve at high speeds due to the inertia of the vehicle. Drive slowly until you complete the turn. A car needs additional engine power while climbing up the hill. This power is provided by low gears. If you feel knocking and lack of acceleration while driving, downshift immediately to gain momentum again. Many drivers forget to pay attention towards the information cluster which shows important indications about your car. For example, Driving in low gear uses more power and thus heating the engine. Keep a close eye on the heat needle or indication. You might not notice the over-heat indication which may later result in an engine seize condition. A very common mistake which leads to fatal accidents is parking your car just around the curve for one or another reason. Never stop your car at a blind curve. Even if you want to stop to check your car or want to capture a breathtaking view, find a roadside place which is clearly visible to the other drivers. A car approaching the curve might find your car by surprise leaving very little braking time for him. Use hazard lights to let others know the car is not moving to avoid any danger of getting hit. Intake of water is a very important aspect while driving. Regularly drink water. It refreshes you and takes out the mental stress. Stay hydrated! Driving through mountains can be much more challenging than a regular road trip. It is recommended not to drive more than 6 hours per day. Take frequent breaks while driving. In the meantime, you can also have a quick check of the car’s tires and other fluid parameters to ensure everything is in good condition. Take pictures and enjoy your trip to the fullest. Turn on your headlights as soon as the sun goes down. Most of the people use high beam which makes the view blind for the incoming traffic. Keep headlights on low beam unless you need a high beam at any instance of poor visibility. Overtaking on mountain terrains could be tricky due to sharp curves. To avoid any confusion, use indicators while changing your lane. It also allows the approaching vehicle to keep a safe distance behind you. Enjoy your holidays this summer with your family and friends. Take amazing pictures at terrific sights. Make splendid memories. Ensure safety of everyone on the road. Share your experience and thoughts in the comments section below.